There’s something magical about being in California – there’s an air of adventure, wonderment, and beauty that envelops the daydreams of natives and visitors alike. I hail from beautiful Northern California and my passion for my state is unabashed and free flowing. My “California Love” Pinterest Board has hundreds of photos https://www.pinterest.com/syryn22/california-love/. The ever present sunshine, an abundant array of cultures, great food, and awesome views, California captures the imagination, as we know there are countless songs that sing the praises of this great state. I can drive to San Francisco, Los Angeles, or San Diego. I can dip my toes in icy Lake Tahoe. I can hike in Gold Country or in the massive Redwood Groves of the North Coast (my absolute favorite thing to do). I can chill in at a tucked away jazz club, while I sip an espresso in our college towns. Etsy has a Californian-whimsical-anything-sells-and-goes feel, just like our street vendors who reign our city and towns’ streets. Those who dare to live in California, know there’s no other place like it. Etsy seller: PaperFinchDesign. 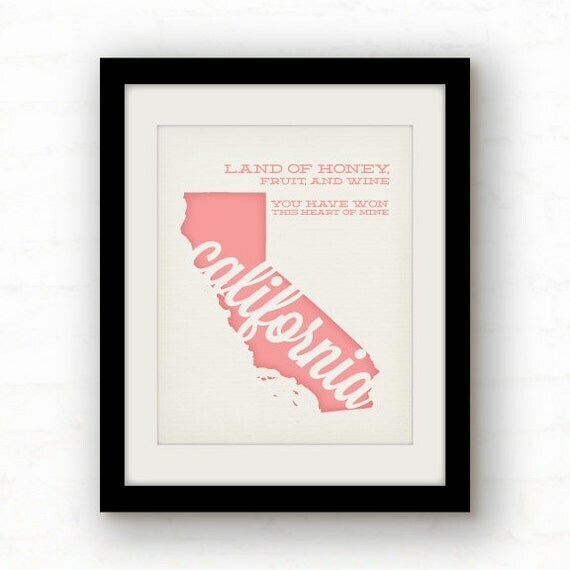 California print, $12. Etsy seller WoodKeeps. 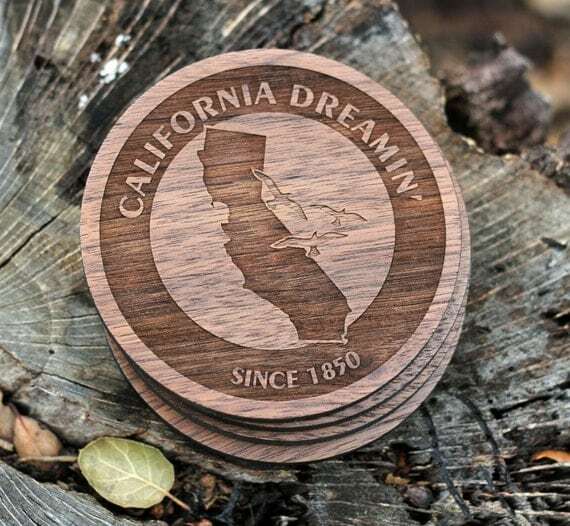 California Dreamin’ Wood Coasters, $34.50. Etsy seller WeLoveCalifornia. 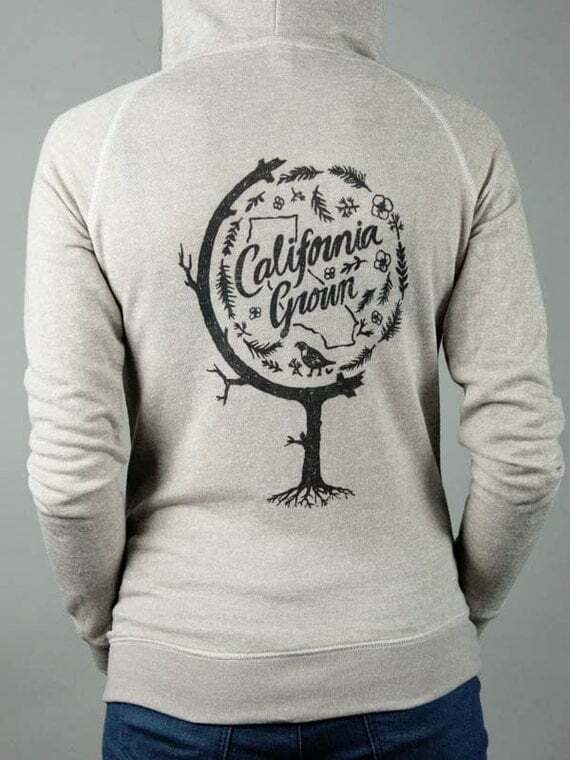 California Grown Globe Zip Up Sweatshirt, $34. Etsy Seller WeLoveCalifornia. 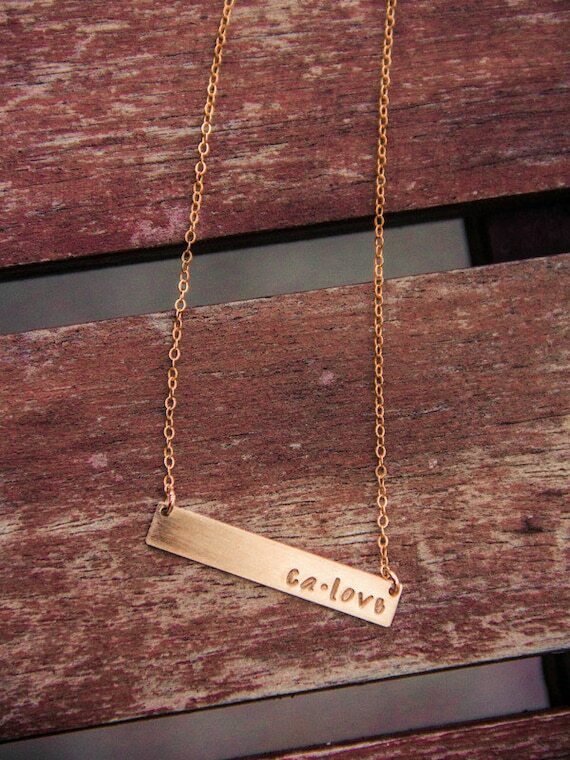 Gold CA Love Necklace, $34. Etsy seller MonkandHoney. 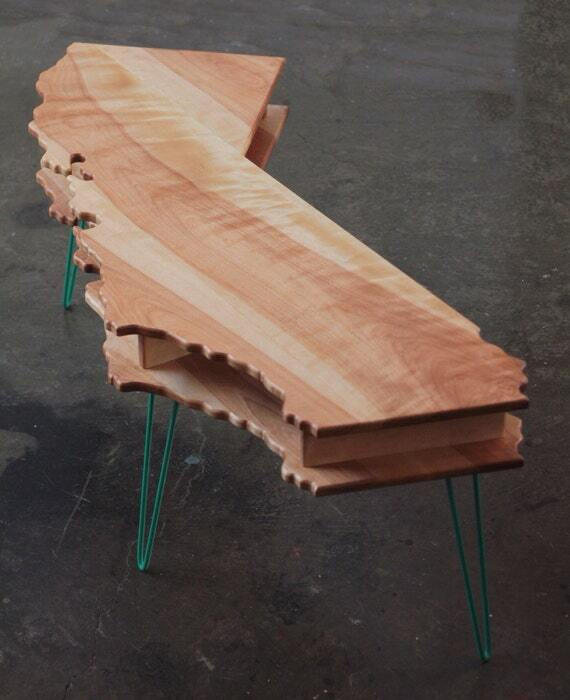 California coffee table and bench, $900+. Ships from Fullerton, California. Etsy seller CaliforniaRustic. 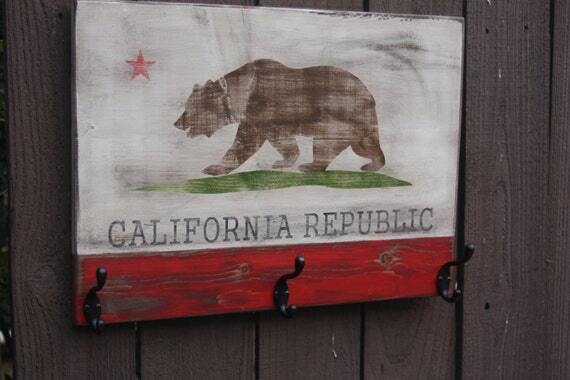 California Flag Hat Rack, $66. Etsy seller thePathLessTraveled. 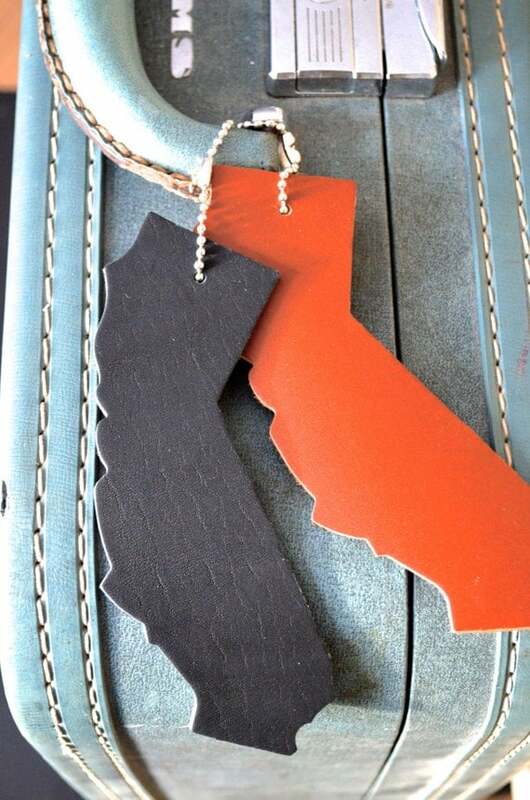 California silhouette luggage tags, $3.90.